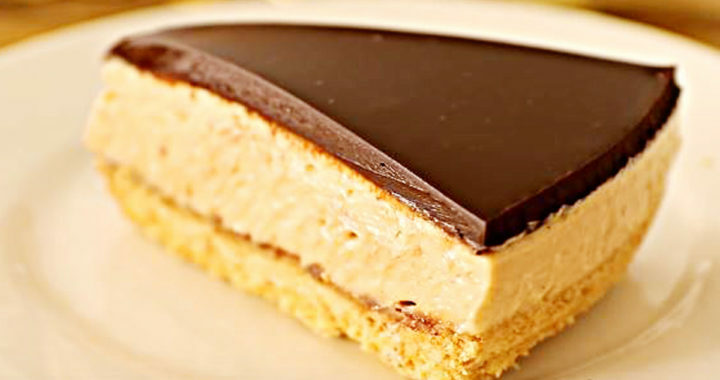 Peanut Butter Cheesecake Recipe Without baking. If you’re a fan of Cheesecakes, then you should really try this peanut butter and chocolate no bake cheesecake. The combination of nutty peanut butter with decadent chocolate and that slight touch of saltiness is just wonderful. This peanut butter cheesecake recipe is very easy. You don’t need to turn-on your Oven or beat eggs. The crust and the filling firm up in the fridge without needing anything else to help hold it together. The ingredients used in the cheesecake do the work of firming things up all by themselves! It’s perfect when you need something quick and easy, or don’t have an oven available. This No-bake cheesecake is very similar to baked cheesecake, except that in this one you don’t need eggs or flour and with the addition of heavy whipping cream and powdered sugar. A couple of the most important things you’ll need are the heavy cream. 2. Press the mixture into bottom of 9-inch springform pan (you can use a drinking glass for that). And let it Refrigerate while making the filling. 2. In a large mixing bowl beat cream cheese and powdered sugar. Beat until smooth and creamy. Add peanut butter, vanilla extract and beat again until smooth and creamy. Add the heavy cream and beat 2-3 minutes more until smooth. 3. Pour the cheesecake mixture into the springform pan. Refrigerate for at least 6 hours or overnight. You can also freeze the cake. 1. in a small saucepan bring to simmer heavy cream, remove from heat and add chopped chocolate. Let stand 1 minute and stir until the chocolate has melted and the ganache is smooth. 2. Let it cool slightly and pour over the cheesecake. You can pour straight into the springform pan or open it and then pour the ganache. The cake doesn’t contain gelatin, so it won’t be very stable. For better results freeze the cake for 1 hour before serving. Refrigerate the cheesecake for at least 5 hours before serving, overnight is even better. Make sure to use heavy whipping cream. The higher fat content will allow the cream to whip up thicker which is needed to hold the filling together. Be sure to use the full amount of powdered sugar in the whipped cream for the filling. It stabilizes the whipped cream, therefore stabilizing the cheesecake. Tagged baked cheesecake, baked cheesecake recipe, best cheesecake recipe, blueberry cheesecake, cheesecake, cheesecake de chocolate y mantequilla de cacahuetes sin horno, cheesecake recipe, chocolate cheesecake, chocolate cheesecake recipe, chocolate peanut butter cheesecake, easy cheesecake recipe, el mundo eats, how to make peanut butter cheesecake, lemon cheesecake, lemon cheesecake recipe, no bake cheesecake, no bake chocolate cheesecake, no bake peanut butter cheesecake, no bake peanut butter chocolate cheesecake, no bake peanut butter cup cheesecake, no bake reese cheesecake, pumpkin cheesecake.